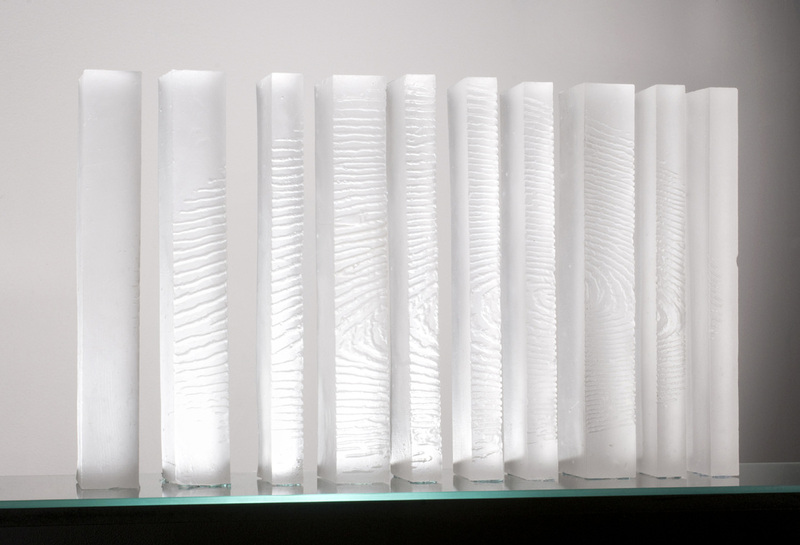 Construction, (first view), cast glass, 15”h x 26”w x 3.5”d, 2010. The piece viewed from straight on. 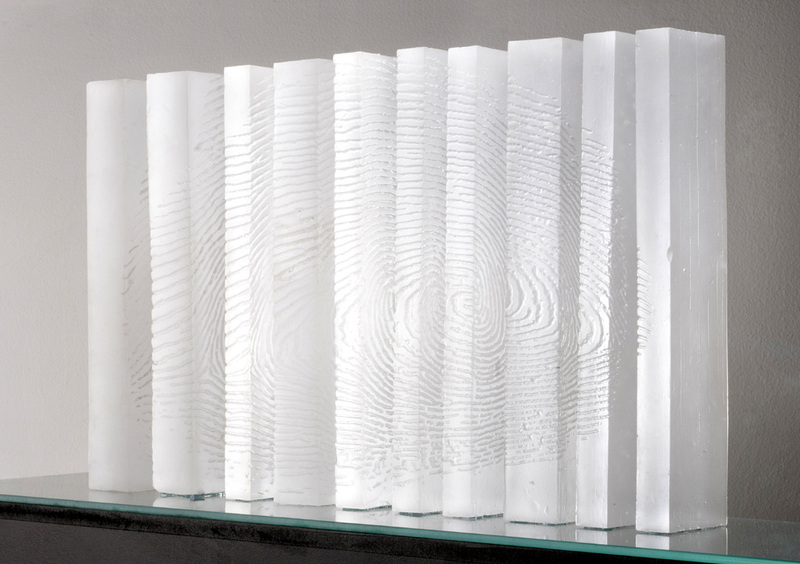 As the viewer moves around to the right hand side of the piece, the individual parts begin to overlap each other and form a single fingerprint. Photo by RIT ETC. Construction, (second view). Photo by RIT ETC.